Every day, Dr. Dana Casaus and the team at Casaus Orthodontics help our friends transform their lives. By gently shifting teeth, we create a lifetime of improved oral health, increased self-confidence, and incredible smiles. 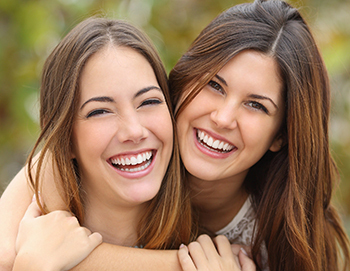 We’d love to help you achieve your best smile, too! We understand you are unique. Your life, concerns, and smile goals are specific to you. You deserve an orthodontic treatment experience that’s tailored to your personal and clinical needs. At your complimentary consultation, Dr. Casaus will spend a lot of time talking with you. By understanding all your needs, not just what’s happening in your mouth, Dr. Casaus is able to create your best care approach. She’ll review the plan with you, explaining your clinical situation and the techniques that will work to fix your issues. She’ll also talk about any treatment options. It’s important you understand what your orthodontic treatment will include and how it works. You also need to know what your responsibilities will be. We want you to make an educated, informed decision: this is your smile, after all! You are important to all of us. We’ve designed Casaus Orthodontics to be a welcoming, supportive space, where you are the star. From our inviting reception area to private operatories and open bay chairs in our clinic area, we want you to be comfortable. If there’s ever anything you need, don’t hesitate to ask! We’re here to help and love doing so. We place a lot of emphasis on education. The health of your mouth and smile affect your overall wellness. We want you to finish treatment with great oral health, an amazing smile, and the knowledge and passion needed to care for both. We’ll teach you about your dental health, nutrition, and developing healthy habits. We’ll also show you the right way to brush and floss to keep your teeth and gums healthy and your new smile in excellent condition! Our passion for education extends to ourselves. Dr. Casaus and our team members complete many hours of continuing education every year. This keeps us current on new treatment approaches and technology. It means we’re able to deliver the highest quality care while creating your new smile. Before committing to orthodontic care, it’s essential you understand your clinical issues and the different treatment options. It’s just as important to choose an office where you feel welcomed and know you’re in excellent hands. Please contact our Albuquerque, NM orthodontic office and schedule a complimentary consultation with Dr. Casaus and our team. We can’t wait to welcome you to our orthodontic family. It will be an honor to help you achieve a lifetime of incredible smiles, filled with confidence. Call to schedule your free consultation today!